I always wonder what people are thinking. In that sense, I try to put myself in their position and in their shoes to understand their point of view, their perceptions. See, I was taught in high school by a very good friend of mine that we should do one thing and that was to love everyone around us. Love was the way that we were going to make the world a better place and loving individuals was the answer to a lot of complications in the world. Smile, hug, compliment, talk. There are different ways to love. 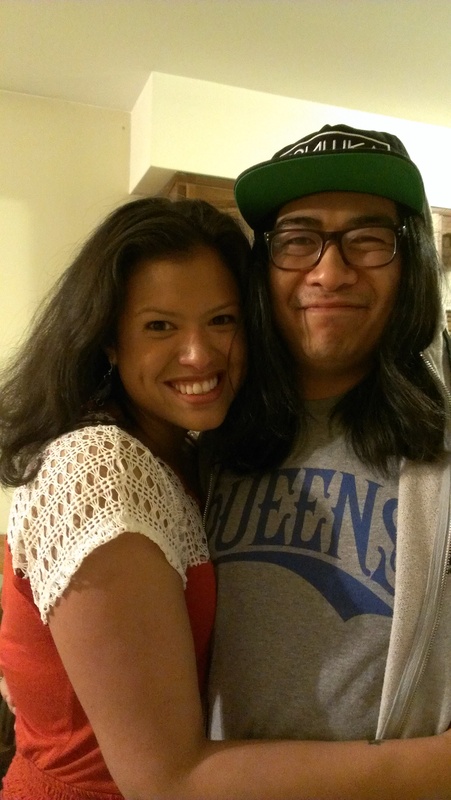 My friend who taught me so much in high school, Mr. Chris LasPiñas. In turn, I added another thing to that: Listening. That’s one of the ways I show I care. I listen. It might also be because of the journalistic background I have that comes piled with curiosity and the need to know information; though for the most part, I don’t pressure people into telling me anything. I leave it open for them to express however they choose. Along with that comes the understanding and the insight, which leads to relationship building and trust. I like to understand people, spend time with them and learn from them. This helped immensely with writing feature articles. Let me tell you. So on a daily basis, based on what people say, I like to try to figure out where they’re coming from. Makes for great questions and conversation. Then I try to relate it to something bigger; a bigger societal issue, a bigger personal issue. Not always, but when it comes to public display of opinion, I do. I usually wonder what people think of me. Not that I care, although it does depend on who I’m questioning. If you missed it, I wrote my first Testimony: The Daughter of Immigrants, which got great feedback. In that first testimony, I talk about the racial experiences that I have been through along with “outsiders'” perceptions of who I am and who my family is. I reread it and some of those passages and stories along with this Marc Anthony fiasco and the Sebastian De La Cruz drama with singing God Bless America and The National Anthem, respectively, at large sporting events, got me thinking. 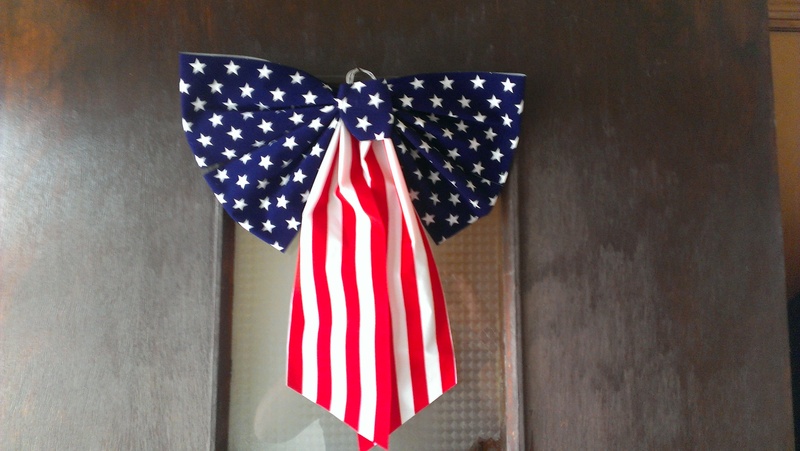 So un-American we hung an American Flag bow from our door! So after reading a few of these tweets, I thought to myself, why would they think like that? Let me put myself in their shoes. After some thoughtful (and not so thoughtful) consideration, I came to the conclusion that I couldn’t put myself in their shoes. I guess I understand where they’re coming from, which is a place of ignorance. What I’m saying is that I suppose I know too much about our American and U.S. history to even make those horrendous accusations. I’m here trying to educate myself and learn about everyone while they’re sitting in underground lairs, apparently. I mean, they called Marc Anthony Mexican. Do they not use Google? This, makes me consider two things that I’ve heard many people talk about. One is that because the way we look does affect the way people treat us, whether we want it to or not, we have to up everyone on it. As people of color we have to push the limits and make ourselves better than the norm, which goes back to me feeling like I need to prove myself, mentioned in the first testimony. However, this is a bit more than proving. It’s taking what you know and making it work for you to the utmost potential. Being ambitious and working for the betterment of self. The second thing is straying from stereotypes. The reason why there are stereotypes is because we have created them ourselves. All Mexicans eat tortillas, teenage Latinas are almost expected to get pregnant, teenage Latinos are all in gangs and we’re all undocumented. This is shenanigans. We have to be able to go against the stereotypes and live what we say: We’re not all the same. Okay, so prove it. Show me how much you’re not the same. If we don’t try to understand from the inside, nothing will change. If we don’t try to understand each other and educate ourselves first, we have no hope. The only reason why people cut their Twitter accounts after those fiascos was because someone was their to educate them on the reasons why they were wrong. It’s a challenge, for sure, to try to share knowledge without coming off as a jerk or a know-it-all, but hell, if YOU don’t do it, who will? So, how does this apply to mind reading, you ask? Well, usually, it’s because I feel that once I educate or share with individuals about myself, I’m a little more respected and people don’t have to guess anything about me or my life. We don’t always have to be mind readers if we’re open to learning about individuals and they, in return, are open to sharing. That’s why I listen and learn. The more I know, the more open-minded I am about everyone– even the ignorant people who think they know a thing or two. This is why I got into the story-telling business. Sometimes it’s not about me, but it’s about the people who choose to let me in.